The first episode of our brand new 20 Minute Fitness Season 2 is finally here. And we’re bringing you nothing less than seven amazing fitness apps & gadgets that can help improving your strength training performance. Charlie will walk us through products from 3 different categories from ‘more accessible & easy to use’ to the very high-tech end of the spectrum. Listen to today’s episode to learn about the benefits as well as some of the drawbacks of fit-tech innovations, like the Shape band by Atlas when it comes to strength training. And of course to find the one that will be the best for your personal goals! Fitbod, Gymaholic and Fitted Lifts are three amazing apps that definitely won’t disappoint when it comes to weight lifting. They all share some similarities, but their key benefits are quite distinct. Fitbod uses AI to plan fully personalized workouts. Gymaholic’s augmented reality capabilities put the focus on visualization. And Fitted Lifts is on-point in everything tracking and logging. Of course this is not all, so press play now to learn about all the great features of the three apps as well as their potential shortcomings! There are a ton of wearable fitness trackers out there. And even though it wasn’t always the case, the number of strength-training specific wearables are growing as well. It’s not a surprise as technology offers an opportunity to get some amazing insights into one’s performance. 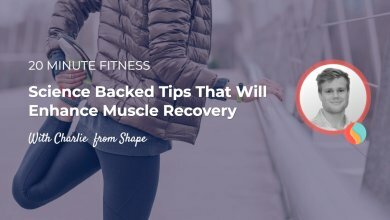 These insights can then be used to master your technique and ultimately reach your fitness goals more effectively. 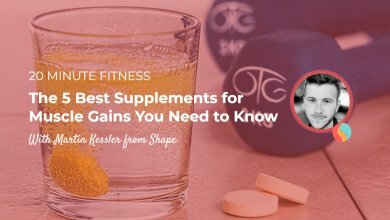 Listen to this week’s episode to find out how wearables, like Shape by Atlas, Strenx by Gymwatch, and the Beast Sensor can aid your weight training. 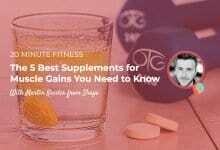 Believe it or not, but their benefits extend beyond the gym as well. As you could’ve probably guessed, we are hitting our most high-tech “wow” category here. Halo Neuroscience is “the first headset that stimulates the part of your brain responsible for muscle movement”. The headphones apply mild electric field to your motor cortex, which is the area in the brain that’s responsible for controlling movement. In today’s episode you can learn a lot more about how Halo Neuroscience really works and whether it is a device that’s worth using for the everyday weight lifter or designed more for athletes.